The new year has commenced and activity abounds. This year, as funding permits, it is our hope to release many more heavily requested resources. The following is a short description of the projects we are currently working on and hope to release in 2008. It is our goal to release the first ten lessons of a new series of Bible studies built for busy people. The aim of these lessons is to reach our current postmodern culture with the message of God’s love as seen through the lens of our Adventists beliefs in a current and culturally relevant way. 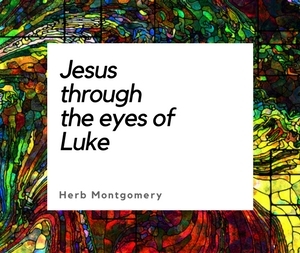 The long awaited, much requested manuscript by Herb Montgomery is almost finished and will be going through editing and design this spring. The title is still to be announced. Have you ever wanted to share the insights you’ve gained from Renewed Heart Ministries? It is our hope to aid you in this by releasing a small book of morning devotionals that is small enough to share with your family and friends. This concise booklet will be a compilation of the weekly E-sights many have enjoyed via their e-mail throughout 2007. Many have requested the Life Unlimited series on DVD, but as yet we have not been able to supply this request with a professionally recorded set. As funding permits we will be filming and editing the truly life changing Life Unlimited series for DVD release in 2008. We will also be introducing a weekly podcast subscription as well as streaming video presentations in the resource section of our Website. These will be short three-minute promotional DVD you can share with your church, family, and friends to introduce them to the life changing free resources offered by Renewed Heart Ministries. Four-Day Training Program on How to Share the Gospel! Last summer it was requested that we begin holding seminars that help train church members to share their faith in a Gospel-centered way. This four-day intensive class will have limited registration, which will be announced on our Website. It is our hope to use the new Bible study series in conjunction with this training series. Registration will be a first-come, first-served basis; and the location and dates will be announced. Sorry, no pre-registration. Once again, these are our visions for 2008 as funding permits. Please feel free to request more information if you would like to give toward any of the projects listed above. We at Renewed Heart Ministries wish you God’s richest blessings this new year. May work Jesus began of “lightening the Earth with His glory,” soon be finished through the revealing of His love through us.